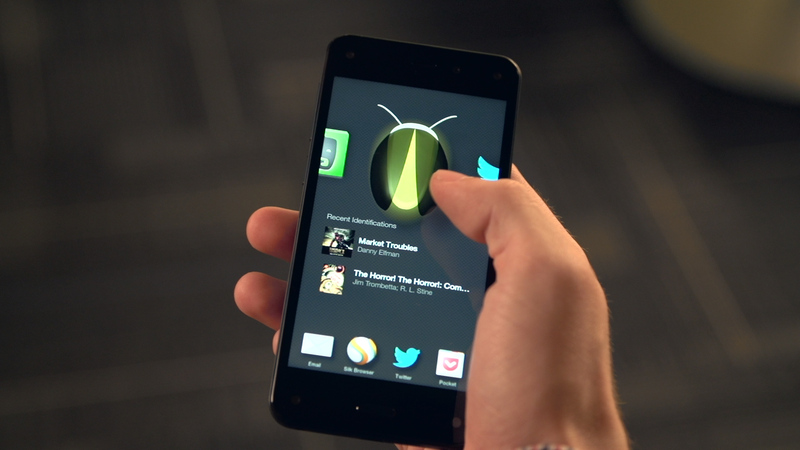 The Fire Phone is widely regarded as one of Amazon’s biggest misfires — and rightfully so. After debuting in the top spot of the company’s retail charts, things quickly spun out of control. In all, the phone reportedly sold, at most, 35,000 units in its first 20 days — even more upsettingly for Amazon, the company swallowed a $170 million loss due to the phone’s failure. That’s the production budget for the first Guardians of the Galaxy movie — and they had a talking raccoon and Vin Diesel and stuff. It’s more than enough to put a company off making phones permanently. But given all that’s happened in the industry in the three and a half years since the handset’s release, maybe it’s time for a reappraisal of the Fire Phone and what it meant for Amazon’s hardware division. Given the aftermath of the product’s release, it’s easy to forget that the Fire Phone actually wasn’t all that poorly received by the media. There were some complaints about the on-board hardware (Amazon’s never been especially interested in premium specs) and some of the device’s implementation of features. But most seemed to agree that, at the very least, the product brought some compelling features to a smartphone market that was already starting to feel a little stale. The Fire’s standout feature was Dynamic Perspective — a quartet of cameras paired with a gyroscope, that brought a sort of parallax perspective to the phone’s UI. Granted, the implementation was pretty silly — it was a lot of extra hardware with seemingly little return. But in 2017, the idea of multiple on-board cameras for depth sensing is becoming pretty standard — and the software applications for such a technology are much more numerous than they were three and a half years ago. A two-camera setting has quickly become industry standard for flagships. The early results functions are relatively simply, from added optical zoom to the bokeh Portrait Mode that every big manufacturer currently offers a take on. And then, of course, there’s AR. With ARKit and ARCore out in the world, nearly every device maker is looking for a way to distinguish themselves and best serve the coming explosion of augmented reality apps. Many are already doing a decent job faking it with a single on-board camera, but offering a premium augmented reality experience requires solid depth sensing, and that’s best served with the inclusion of multiple cameras. One can even make the argument that Amazon was forward-thinking in its decision to include this technology on the front-facing cameras. From higher-end selfies to Animojis on the iPhone X, smartphone makers view the little swath of real estate above the screen as one of the next key spots in the hardware spec battle. In both cases, it’s clear that Amazon was ahead of many in its recognition that camera technology would become an increasingly important focus for smartphones. I suspect that the Fire Phone’s camera set up would have continued to evolve in interesting ways, had the line been allowed to live. And then there’s Alexa. There’s no question that the Fire Phone would have changed the math completely for Amazon’s smart assistant. The gesture-based controls that came along with the phone’s camera array point to a company looking for alternative input methods, and Amazon just happened to be developing its own voice assistant in house. Rolling out Alexa and the Echo at roughly the same time could have made it even more of a powerhouse than it is today. As it stands, Alexa’s mobile representation is, at best, anemic — and Google’s been able to make up ground in the race by offering Assistant on the phone and in the home. The presence of Assistant and Siri on mobile devices have also made the AI more robust, integrating them more deeply into mobile operating systems and adding additional non-voice input methods for a more well-rounded offering. All the while, Amazon appears to consider Alexa almost exclusively a voice assistant. AI and machine learning are playing an increasingly important role on these devices, thanks in no small part to the proliferation of smart assistants. That shift is precisely what caused Google to declare the specs race over last week — it’s something that could have served Amazon well, as the company has clearly put less of a focus on hardware versus software. It’s harder to make a defense for the company’s stubborn insistence on making its own walled Android skins. But a quick look at Amazon’s recent tablet offerings shows that the company has clearly learned that, when it comes to skinning operating systems, less is more. There’s still plenty of room to integrate proprietary apps like Mayday without bogging down Android entirely. All of these elements taken together could add up to a legitimately compelling mobile experience from a company that has no doubt learned lessons from the past, while continuing to build up usual potential mobile pieces like Alexa. If the rumors from earlier in the year are true, and the company is working on the Amazon Ice smartphone, the company may stand a fighting chance this time out. Amazon’s hardware team has been thriving in the wake of the Echo’s success, and if the company isn’t too put off by past failures, the time seems right to give it another go.